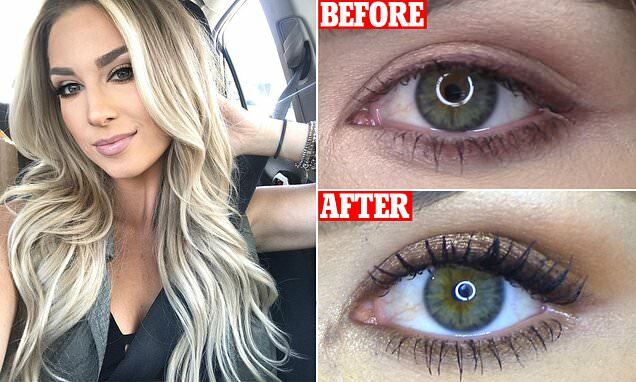 A new lash serum that claims to lengthen eyelashes in a matter of weeks is set to be the solution for those who don't want to spend a fortune on eyelash extensions. Rimmel's Lash Accelerator Serum has been designed to protect and fortify to create the 'longest lashes ever' and works in 'only 30 days'. The serum costs just $11.69 in Chemist Warehouse stores across Australia at the moment which is a $7 saving on the usual cost. The serum is designed to be worn under mascara or as an overnight treatment on lashes and brows for 30 consecutive nights. It has been dermatologically and ophthalmologist tested and it is recommended that beauty lovers wait for the serum to set if they choose to wear it under mascara during the day. The beauty community has been quick to share their success with the product online. In one YouTube video beauty influencer Brianna Alessandra tested it for a month to see if it actually worked. After being a long time user of eyelash extensions her real lashes were left damaged and stunted, which she was hoping to change.